A graduate education helps advance your knowledge in a particular field(s), fostering your intellect and enabling you to apply your research to the benefit of society. For more information, please review Your Future: A Guide for Potential Graduate Students by the Canadian Association of Graduate Studies. As one of Canada's largest research-intensive universities, Western University boasts researchers, teachers and graduate students who are leaders in their fields and conduct innovative research in some of the world's most exciting and emerging areas. As one of Canada's largest research-intensive universities, first-class research facilities and infrastructure are available to all our graduate students. With $240 million in annual research funding and an international reputation for success, Western ranks as one of Canada's top research-intensive universities. The University is committed to providing superior support for both individual scholars and large interdisciplinary groups, while firmly establishing an entrepreneurial research culture that encourages the practice of innovation across the campus. Prospective students are encouraged to visit Scholarship@Western to see recently published dissertations and examine the ground-breaking work of current Western PhD Students. 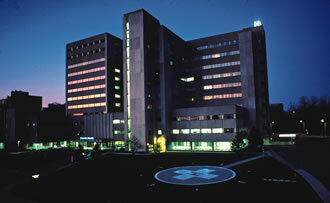 As the research institute of London Health Sciences Centre and St. Joseph’s Health Care, London, and working in partnership with Western University, Lawson Health Research Institute is one of the largest hospital-based research institutes in Canada and a major teaching and training environment for tomorrow’s scientists. Its ‘bench to bedside’ philosophy means researchers focus their efforts on the development of new knowledge that can be applied directly to patient care within the hospitals. WORLDiscoveries is the Business Development arm of London’s extensive research network and the bridge between local invention and global industry. Born out of a partnership between Western University, Robarts Research Institute and Lawson Health Research Institute, WORLDiscoveries draws upon a mix of industry connections, sector-specific market knowledge and business development expertise, to help Researchers and local inventors commercialize their discoveries through licensing and new company spin-offs. Western is an international university committed to supporting faculty research around the globe, and to providing students with an education that prepares them to live, work and actively contribute within international economies, cultures and societies. Home to collaborations on every continent, and to faculty, staff and students who have been trained around the world, Western is firmly situated within the international milieu. This level of engagement enhances the University's ability to attract the highest calibre of personnel and increases its capacity to develop strong, mutually beneficial collaborative research initiatives that provide benefits to Canada and the broader world. For more information, please visit Research Western. Often referred to as Canada’s most beautiful university campus, Western provides an idyllic background for your studies. Gothic architecture that blends in seamlessly with the natural atmosphere, the ivy-covered University provides endless scenic locations to study, chat with friends and relax. The campus is situated on nearly 400 acres of rolling hills and wide-open spaces on the banks of the Thames River. Further testament to its natural beauty, Western was recognized with top honours as Most Beautiful Campus in the Parks and Grounds category of the 2004 National Communities in Bloom competition, a nation-wide beautification program that judges cities, towns, villages, parks and grounds. In fact, Western took the top prize over Banff National Park, one of the most visited national parks in the world. Surveys of student and alumni satisfaction, whether conducted by the media or by the University, consistently indicate a very high level of satisfaction with the student experience at Western. This is a tribute to the commitment of our faculty and staff and reflects the broad-based approach to intellectual, social, and personal development that characterizes student life at Western. 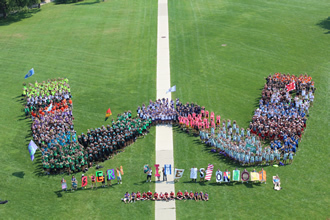 It is a spirit embodied by all Western students and a testament to their level of engagement on campus. Our services and programs are designed to enhance our graduate students’ experiences and provide a supportive and stimulating academic environment. We offer a blend of structure and flexibility allowing our graduate students to develop personally and professionally in order to better prepare them for the intellectual demands of tomorrow. The Grad Club, a wholly-owned subsidiary of the Society of Graduate Students, is a not-for-profit organization whose goal is to promote the interests of graduate students. A vibrant pub and restaurant for graduate students and faculty members, The Grad Club is the perfect place to meet new people and connect with friends and colleagues. 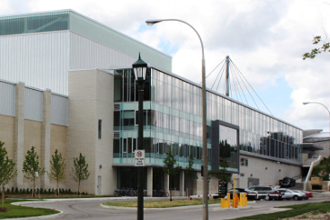 The Western Student Recreation Centre is a state-of-the-art facility that opened in 2009 and provides a number of services to meet the diverse fitness and recreation needs of all Western students. The 160,000-square-foot facility – one of the largest of its kind at a Canadian university – was opened in part through the largest student donation at a Canadian school in history. The $35-million space is located adjacent to the Thompson Recreation and Athletic Centre and provides ample opportunity for busy students to make fitness a part of their lifestyle. The McIntosh Gallery is a university-based public art gallery serving Western University and the surrounding community. Built in 1942, McIntosh Gallery is the oldest university art gallery in Ontario. Guided by its mission to provide a platform for engagement with visual art and artists, McIntosh Gallery offers a range of exhibitions, educational programs and special events year-round. Admission to McIntosh Gallery is free. Over a third of some 3,500 works in the McIntosh Gallery Collection is on display throughout campus in public spaces and offices. You may browse through the campus on a self-guided walking tour to experience these public artworks at your own pace. With over 19,500 members belonging to more than 180 clubs, the Clubs Community of the University Students' Council is the easiest way for Western students to get involved at the University. Each USC Club has a specific niche in our campus community. Whatever your interest may be, there will most likely be a club that satisfies your interests. The University Students' Council is located in the University Community Centre (UCC), a comfortable environment that houses many useful services, campus organizations and retail outlets for students’ convenience. Thousands of staff, faculty, and students walk through the doors of the UCC each day. In addition to popular restaurants including The Wave and The Spoke, the UCC is also home to Western's very own movie theatre. Featuring the lowest ticket prices in London, Western Film is open 7 nights a week and shows all the latest movies just a few weeks after they debut. A cosmopolitan centre set in the heart of Southwestern Ontario, London is the region's economic, entertainment and cultural hub. With a population of 366,000, London is Canada’s 11th largest city and is an ideal environment to live and pursue your studies. Big enough for the ‘big city’ experience, it boasts an extensive health care system and excellent business and career opportunities, while providing the safe and clean atmosphere of a small community. London is called The Forest City in reference to its numerous, beautiful pathways and acres of rolling parkland. Its tree-lined boulevards and green parks invite cyclists and pedestrians to discover the charms of the city, built at the fork of the Thames River. Just down the road from Western, you will find the vibrant Richmond Street in the city centre – a fantastic blend of culture and heritage for you to explore. 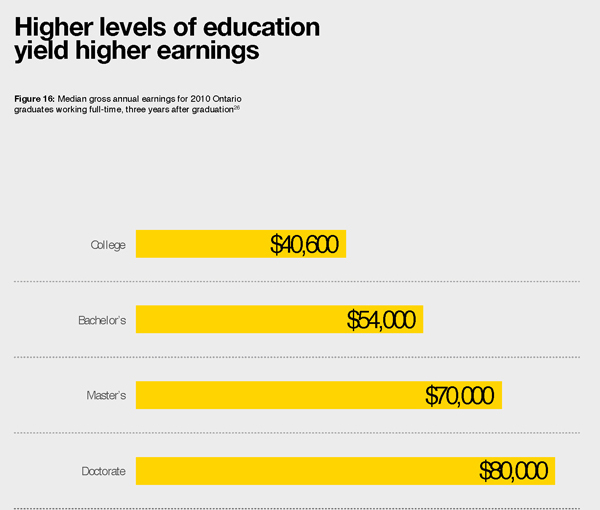 Important factors in deciding where to attend graduate school are the location and the cost of living in that community. Not only is London a vibrant cosmopolitan centre, but it offers many of the same benefits of a large city without the high cost of living. We experience four distinct and beautiful seasons, ranging from warm, breezy summers to colourful autumns, crisp, snowy winters, and refreshing springs. Each brings with it its own beauty and opportunities to enjoy the outdoors. Autumn is the perfect time to walk the city’s tree-lined streets and beautiful parks, while skating and skiing are popular pastimes in the winter. Spring and summer is best enjoyed in the sun, with London being close to several beaches including Grand Bend and Port Stanley. London is brimming with activity and culture. Boasting everything from concerts at Budweiser Gardens to exhibitions at Museum London, theatrical productions at The Grand Theatre and a large assortment of renowned restaurants, the Forest City is the perfect locale to experience. Whether you enjoy shopping, movies, theatre, dancing, or sporting events, there is no lack of activities. Year-round, London has numerous festivals and cultural and community events, including Snowfest, Sunfest, Rock the Park, London Film Festival and World Beat and Jazz weekends. 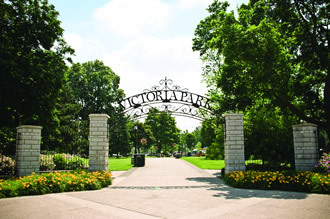 Beautiful parks and biking trails are just steps away from the lively Richmond Street, home to a bustling nightlife, niche shops, designer boutiques, cafes and fashionable dining. 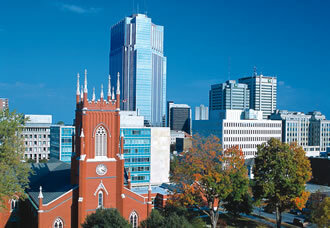 London is also considered a sporting hub and is home to the Ontario Hockey League's London Knights, a cultural mainstay of the city and its residents. For an overview of activities and attractions the city of London has to offer, please visit Tourism London and City of London. With several family-friendly services including a variety of schools, health care facilities, after-school and special needs programs, children's camps, and community centres, the city of London provides parents, both current and expecting, a safe and desirable community to raise a family. For an overview of family programs and services throughout London and surrounding regions, please visit Family Support. Located in the centre of southwestern Ontario, London is approximately two hours driving distance from Toronto and Detroit. 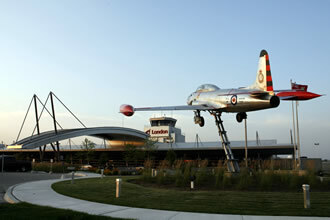 The London International Airport offers direct flights to Toronto, Chicago, Ottawa and Calgary, as well as many other connections to several Canadian destinations. If you want to travel to warmer climates or exotic places, the London International Airport has flights to Mexico, Cuba, Jamaica and several locations in Europe. For directions to London, including city and campus maps, please visit Getting to London. Internationalization is one of Western's institutional principles and values. We will embrace our role as an active member of the global academic community through the full range of our educational, research, scholarship, and community development activities that engage our students, faculty, staff, alumni and external partners. The School of Graduate and Postdoctoral Studies has partnered with institutions around the world to provide international learning opportunities for our graduate students. Please information on our current Dual-Credential Degree options please visit go to: grad.uwo.ca/international/dual_credential.html. In choosing Western, you will join a community of scholars in an enriching and collaborative environment, forming intellectual partnerships that will last a lifetime. Some of Canada's foremost scientists, entrepreneurs, CEO's, academics and public servants have studied at Western, and you too can become a member of our esteemed alumni, joining the ranks of more than 270,000 alumni living in close to 160 countries around the world. Ranked among the top 1 per cent of universities in the world, we are an academic institution recognized for leadership in education, research, and healthcare. Through its dedication to excellence in graduate education, Western offers its graduate students first-class research facilities and infrastructure, competitive funding packages, and Canada's fourth-largest academic library system. 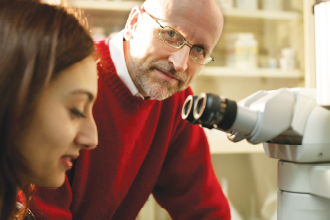 There are 66 Canada Research Chairs and a Canada Excellence Research Chair among Western's faculty. While the University has achieved acclaim for research in a full complement of disciplines, Western has identified signature areas in which global-scale clusters of research excellence have been established, including: Neuroscience/Brain & Mind: Imaging: Materials & Biomaterials: Wind Engineering & Natural Disaster Mitigation; Environmental Sustainability & Green Energy; Philosophy of Science; Planetary Science & Exploration; and Musculoskeletal Health. 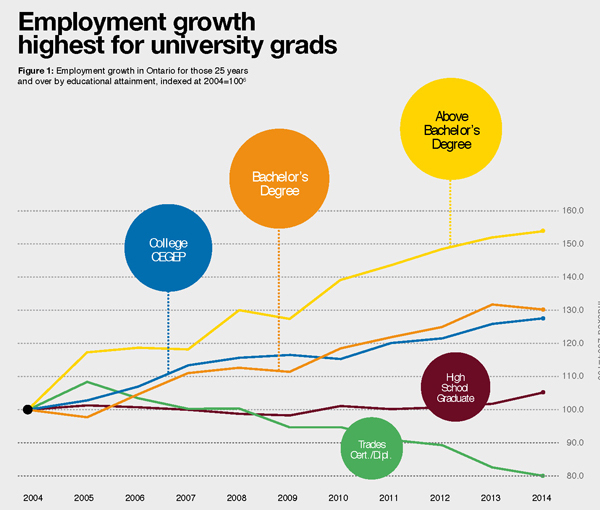 Western has more 3M Award-winning faculty than any other Ontario university (second in Canada). Our graduate students have the opportunity to learn from distinguished academics, business leaders and world-renowned experts in several fields. Western's academic leaders provide their students with endless opportunities for in-depth exploration and collaboration. Whether it be presenting your work at academic conferences, teaching your work to undergraduate students, or performing your work for an audience, our graduate programs help foster your development as a scholar. At Western, we recognize that success in today’s careers requires not only a solid academic foundation but also a range of complementary professional skills. We are proud to offer our graduate students an array of professional development services and programs to enhance their formal education. These professional development opportunities allow students to individualize their experiences and to create a graduate experience that best meets their needs and aspirations. With annual research funding in excess of $240 million and an international reputation for success, Western ranks as one of Canada's top research-intensive universities. Western is home to a number of innovative research facilities and centres that are unique in the world and has research collaboration agreements on every continent. Since introducing its first Master’s program in 1881, Western University remains dedicated to delivering excellent graduate education. We offer 88 different graduate degree programs, including a range of professional master's and interdisciplinary programs, that provide endless opportunities to expand your knowledge and push the boundaries of discovery in several fields. Outlined below are the minimum admission requirements set forth by the School of Graduate and Postdoctoral Studies. Please review this information to ensure you are prepared with the knowledge necessary to succeed in your educational pursuits. Be sure to visit program-specific websites you are interested in applying to as each graduate program may have specific admissions requirements, including higher averages than the minimum. Applicants must possess a four-year degree from an accredited university. 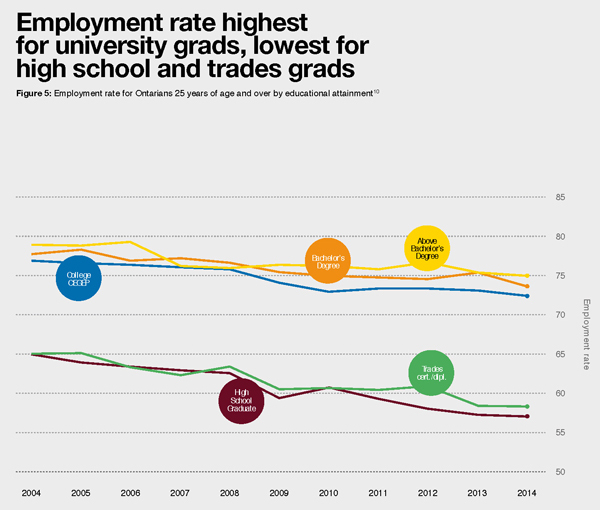 The School of Graduate and Postdoctoral Studies requires, at least, a 70% average across courses taken in the last two full-time years of the undergraduate degree. Equivalent qualifications may be considered based on the standards of the discipline or profession. Applicants must possess a Master’s degree or equivalent from a university, college or institute, and provide evidence of research potential. The School of Graduate and Postdoctoral Studies requires, at least, a 70% average in the Master’s degree, as determined by the School of Graduate and Postdoctoral Studies. The Test of English as a Foreign Language (TOEFL). The minimum acceptable score is 86, with no individual score below 20 for the internet based version, or 550 for the paper and pencil version, although some programs require a higher minimum score. [Western's TOEFL ID is 0984]. The International English Language Testing Service (IELTS). The minimum acceptable score is 6 out of 9. The IELTS is offered in 6 test centres in the US and 3 in Canada. The Michigan English Language Assessment Battery (MELAB) of the University of Michigan. Students must have at least 80 on each of the sections and an overall score of at least 85. Arrangements to write MELAB may be made online. The Canadian Academic English Language Assessment (CAEL Assessment). The minimum acceptable score is 60. The CAEL Assessment is offered in several countries throughout the world as well as Canada. Western English Language Centre. The requirement is successful completion of the High-Advanced level. CultureWorks. The requirement is successful completion of the High-Advanced level. Fanshawe College’s ESL Program. The requirement is graduation from Level 5, Advanced Academic Preparation, with a minimum 80% in all components. *Programs at Western may require a higher minimum score than those listed above or may not accept all of the above tests or language programs for admission; please contact the graduate program directly for information. Students who are required to present evidence of proficiency in English must make their own arrangements to write the TOEFL, IELTS, MELAB or CAEL and to have the official results sent directly to the School of Graduate and Postdoctoral Studies by the testing agency. 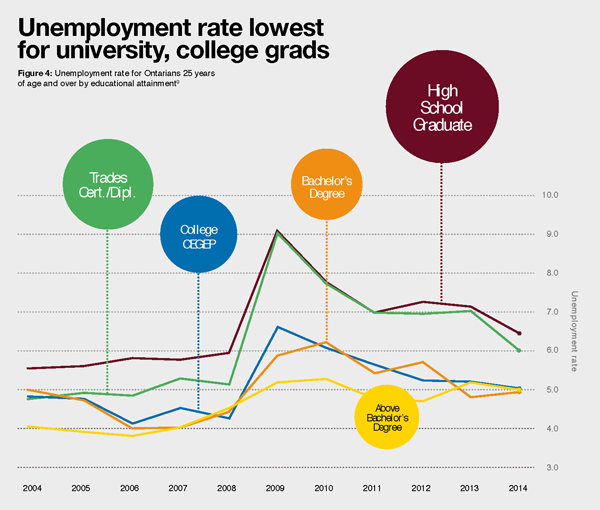 Those graduates from CultureWorks or Fanshawe College’s ESL Program must provide official proof of graduation. Other formal evidence of graduate level proficiency in English may be considered in lieu of these test scores. Students must contact the graduate program(s) to which they have applied in order to determine if test scores will not be required. A decision will then be made at the discretion of the School of Graduate and Postdoctoral Studies for exemption. For the French and Spanish programs only, evidence of proficiency in English is a degree requirement but not a requirement for admission. Each individual graduate program has specific deadlines for both domestic and international students. Students must review their program(s) website to ensure they know their appropriate deadline for submission. The application and all admissions requirements must be submitted by the stated application deadline, including all transcripts and other program admission requirements. Western makes it possible for you to submit your supporting documents in a digital format. You will want to be certain that each of your documents is saved as a .pdf file and that its size is less than 3000kb (3mb). Scanning in "gray scale" or black and white may produce the best results. Non-legible scans will not be accepted. If you are offered admission, you are required to provide one official academic transcript from each post-secondary institution you have attended. An official transcript is a transcript in an unopened envelope with the institution's stamp on the seal. Western’s Digital Gradate Reference Process Western will email your referees within 2 hours of entering or updating your reference information within the application. Please be sure to communicate with each of your referees prior to entering them. Each reference will be collected by Western and distributed alongside your application once it arrives. No paper reference letters are required. Please be sure to provide an email address associated with the referee's institution or workplace. A unique link will be emailed to each referee, allowing them to log in to a secure site and submit an online reference or upload a reference document as an attachment. Some graduate programs have special requirements for references. You will be notified once each of your referees replies to our request. Many programs require additional documentation to support your application to their program (i.e. samples of written work, a list of publications, resume). Please be sure to review the program(s) website to which you are applying to in order to learn if any such requirements exist. All supporting documentation is collected digitally within the application unless otherwise noted by the program. In order to apply to graduate studies at Western, it is important that you understand the essential elements of the Western graduate school application. No application will be considered until it is complete. The responsibility rests with the applicant to ensure that all documents (e.g., transcripts, letters of recommendation, test results such as TOEFL scores, GRE scores) are submitted. We ask for basic information concerning your identity and contact information. We ask that you supply Western with a listing of all post‐secondary schools you have attended. We will email your referees within 2 hours of entering or updating your reference information. Each reference will be collected by Western and distributed alongside your application once it arrives. No paper reference letters are required. Our graduate programs may ask you unique questions that reflect elements of the program you are applying to. The responses you provide are made available to the program during the assessment process. Western accepts two methods of payment in order to process your application. Western makes it possible for you to submit your supporting documents in a digital format. This includes an academic record/transcript from each school you note in your Academic History and any additional documents required by the program you are applying to. Option #1: Never Applied to Western before? If you have never applied to Western University before you will require a temporary Western Applicant Account. The temporary Western Applicant Account (login, password) can be created on the initial page of the application. Click on the Create Account button and fill in the required information. Option #2: Applied to Western previously? If you have applied to Western previously you were given a Western Student Identity (login, password). You can use an active Western Student Identity to login to the Student Center and create a new Western University Graduate Application. If you need to re-activate your Western Student Identity please follow the steps outlined on the Student Center homepage. After paying and submitting your application you will receive an email with your new Western Student Identity. Your temporary Western Applicant Account will no longer be active. For applicants who do not hold a current Western Student Identity, a Western Access Code will allow you to activate your Western identity. Activating your Western Identity will give you access to the Student Center. Western's portal for student information, the Student Center will allow you to review your application status, update your contact information, and accept an offer of admission. Once Western receives your completed application and payment, an automated email will be sent to you confirming receipt of the completed application. The School of Graduate and Postdoctoral Studies will complete a preliminary assessment of your application to calculate an admission average, establish an academic degree basis for your potential admission and determine any additional documentation required by Western should you receive an offer of admission. After your application passes through the preliminary assessment phase an email will be sent to you confirming your application is now in the hands of the program to which you are applying. The length of the application review process varies by program and can take as long as four months. The School of Graduate and Postdoctoral Studies recommends checking the program website(s) to which you have applied or contacting the program directly to learn of expected decision timelines. Upon Western receiving your application, a confirmation e-mail will be forwarded to you providing you with information regarding your application profile at Western. This information is key to accessing your Western Personal Computer Account. Once you have activated your Computer Account you will be able to log into the Student Center, Western’s portal for student information. Western informs all applicants of an admission decision whether you are offered admission or not. All offers of admission are sent digitally to the applicant at the email address you supply in your application. Applicants who have been offered admission to the School of Graduate and Postdoctoral Studies can accept or decline their offers of admissions online through the Western Student Center. Login into the Student Center with the information provided with your Western Identity and locate the Admissions banner. Your electronic offer of admission will appear below the Admissions banner. Click the “View Letters” hyperlink under My Applications to see and/or print your official offer of admission. Click the “Accept or Decline” hyperlink under My Applications to accept or decline your offer of admission. Ask Western is a service designed to assist prospective graduate students in quickly finding answers to frequently asked questions about graduate programs at Western.